The two young leaders, both progressives in their 40s, exchanged a hug on the steps of the Elysee Palace and spoke warmly of their ties afterwards at a press conference that ended with them leaving the room with their arms across each other's backs. "We have an extremely close convergence of views," Macron said during the press conference, which came after a working lunch and talks with Trudeau. Trudeau, speaking mostly in French, ended his remarks lauding the "friendship" between the two leaders -- a contrast with the often difficult relationship he has with his North American neighbour, US President Donald Trump. "Canada, France and Europe are extremely aligned," he said. Trudeau and Macron's first meeting as leaders came in May last year when they were photographed together at a meeting of G7 countries in the dreamy setting of Taormina, a hillside town in Sicily. 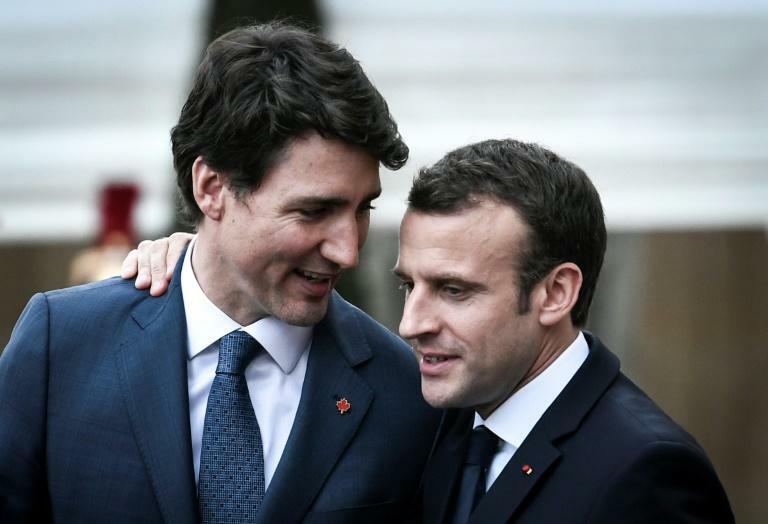 It led to widespread commentary about the "bromance" between the two married liberals -- as well as jokes online that they looked like they had gone to Sicily for their wedding photographs.